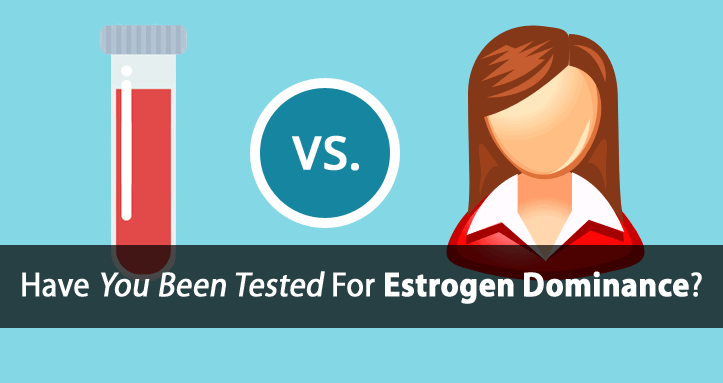 Want to know if you’re estrogen dominant, and whether or not it’s suppressing your thyroid? …if you suffer from hypothyroidism or Hashimoto’s, then it’s pretty much a sure thing. Yet, I want to show you a way you can test this for yourself. Now, if you’ve had your estrogen levels tested by blood, saliva, etc., then you might as well toss your lab results into the garbage. The problem with your typical estrogen labs is that they only account for estrogen in your bloodstream. What they fail to measure (and what’s more important) is the amount of estrogen within your tissue and cells. Standard estrogen labs can’t tell you this, and that’s a BIG problem. Studies comparing tissue estrogen levels to blood estrogen levels consistently show higher concentrations in the tissue, regardless of age or menstrual status. Studies consistently show tissue estrogen levels being 5 to 50 times higher than blood estrogen levels. This poses a major problem for women receiving estrogen treatment based on blood labs. Just imagine how much hypothyroidism and Hashimoto’s thyroiditis has been caused, or worsened directly by unnecessary HRT (Hormone Replacement Therapy)? Imagine how many breast cancer cases could have been avoided? So, much unnecessary pain and suffering could be avoided by simply using a more accurate test. I’ll share that test with you in just a second. But first, it’s always important to account for symptoms (and thyroid testing) when interpreting any lab results. Estrogen dominance is quite complex because estrogen has so many far-reaching effects on thyroid function, metabolism, and a multitude of other hormone levels. If you’re a woman with a menstrual cycle, sometimes we can better gauge which symptoms are directly related to estrogen dominance because they worsen at specific times of your menstrual cycle. In fact, that’s a question I ask all of my relevant female clients. This one question alone can provide a lot of information regarding estrogen status. You would be amazed at how many women don’t correlate their symptoms to their menstrual cycle until they stop to think about it. If you suffer, or have suffered, from any of the above symptoms, then you’re likely more estrogen dominant than you may think. …in order to more accurately test for estrogen dominance, we have to look for another indicator of estrogen levels where blood and tissue levels do match. One hormone with matching blood and tissue levels, which can also be used as an indicator of estrogen levels is the hormone… prolactin. Prolactin is a hormone secreted under stress, and is most widely known for its ability to draw calcium from bones (when calcium is deficient) in order to provide adequate calcium for breast milk production. Much like estrogen, studies also show that prolactin strongly suppresses thyroid function. [Metabolism of thyroid gland cells as affected by prolactin and emotional-physical stress]. 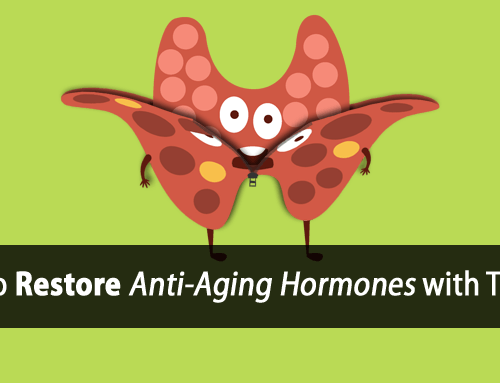 Also, like estrogen, not only is prolactin increased during hypothyroidism and stress, but it also increases in both men and women with aging. 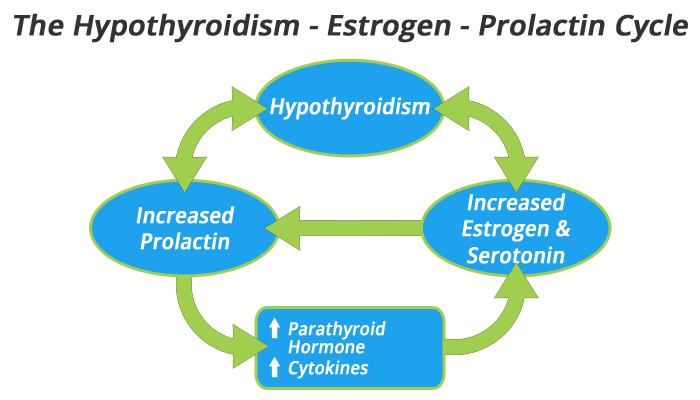 The simplified diagram above shows how in hypothyroidism estrogen and prolactin tend to increase together (along with parathyroid hormone and serotonin). Hypothyroidism, estrogen, and serotonin all increase the production of prolactin. Prolactin then suppresses thyroid function further, while increasing serotonin, which further perpetuates prolactin production. As mentioned earlier, prolactin can be accurately measured from the blood, and tends to increase in proportion to estrogen tissue levels. So, we can oftentimes get a more accurate indicator of true estrogen tissue levels by simply measuring your blood level of prolactin. This is a simple blood draw test that is underutilized by doctors today, mainly due to poor interpretation of the lab itself. Like many lab tests (including thyroid labs), the reference range for prolactin isn’t quite accurate. Some hormone researchers, like Dr. Raymond Peat, state that prolactin must be low in order to achieve healthy thyroid function and metabolism. Below you can find the recommended “healthy” ranges for prolactin. When it comes to testing for estrogen dominance, I would highly recommend you have your doctor run a test for prolactin. You can do this the next time you’re due for thyroid labs and routine bloodwork. Vitamin D should be added as well. Hopefully this helped you better understand some of the intricacies of blood tests and why some tests that you and your doctor may depend on may actually be highly inaccurate. Another great example of this is your thyroid labs. Thyroid labs are known to be highly inaccurate and misleading. 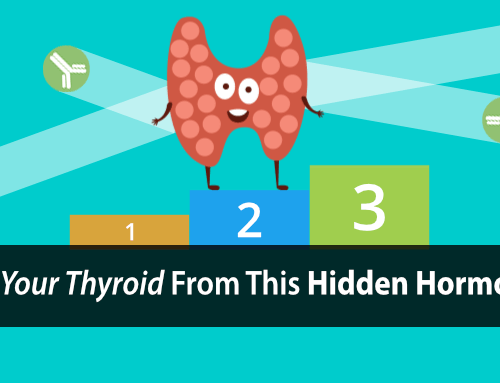 This is why in the Ultimate Thyroid Testing Protocol, I walk you through exactly how to properly interpret your thyroid labs and show you exactly how you can test your thyroid function even more accurately. 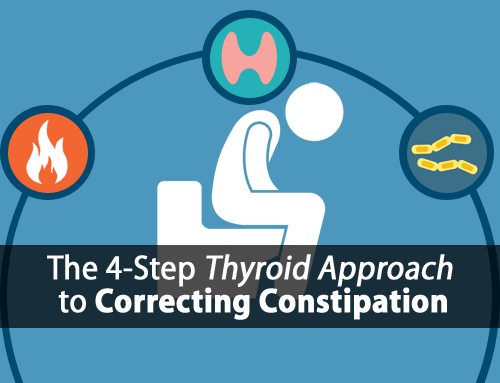 Much like testing for prolactin, this protocol will help prevent you from making potentially dangerous mistakes with your thyroid health. Yet, unlike testing for prolactin, this testing protocol can be done at home and for free. So, it won’t cost you a dime. You can access this free training by clicking here. This is great information and even greater to know that there is a simple lab test to test this. I have tried to study all your materials and I am sure I have a long way trying to grasp all. But if I am correct I have not seen you comment on DHEA -hormone. I would love to hear something about this from you since it is something that at least in my country doctors in functional medicine now are interested in and prescribe.. I would like to be prepared for my next doctors visit and know weather it is a good idea or not.. Thank you so much in advance. After reading this, I suspect estrogen dominance. I have had a chronic yeast problem with occasional UTIs for awhile now. The doc prescribes a compound of several types of estrogen and testosterone to use topically. Whatever the base used in the compound is, it irritates my tissue in the area even more. The yeast problem does not seem to be improving. Therefore, I suspect that using a compound with estrogen on a problem that is possibly caused by estrogen dominance is not particularly wise. Seems like a need for balance. I recently ordered Progesterone Complex, along with the Vit E, and Vit ADK oils. I am not sure how to use them, but hope using they will in some way help and rebalance. I stopped using the prescribed compound as it seemed to precipitate the problem. Any words of wisdom about the oils or otherwise are appreciated. I also have your Hypothyroidism Revol. Program as of several years ago. Has been very helpful. Hi Marg, the Vitamin ADK, Vitamin E, thyroid hormone, and progesterone can all help with the chronic UTIs. If you still have questions about how to use the supplements, please send an email to support@forefronthealth.com and we’ll be able to help. Hi Kate, there are plenty of online calculators that can convert it for you. Thank you! I will ask my Doctor for a prolactin test soon. I have so many estrogen dominance symptoms. I just started taking DIM and have been use NatPro progesterone cream. 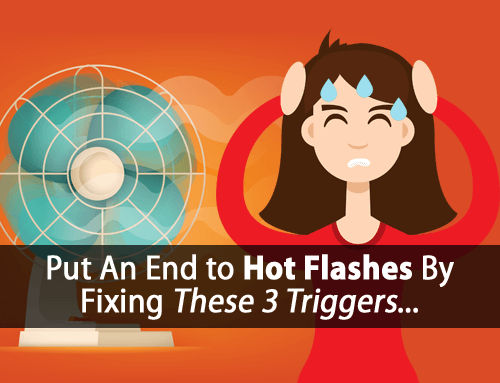 My hot flashes are gone but weight and all other symptoms remain including hypothyroidism. I take Naturethroid as well. Do you have any other suggestions or advise to help me me get through this, my weight is out of control. I am 56 yrs. old and in menopause. I don’t recommend using I3C or DIM because they also have their own negative effects such as inhibiting metabolism and ATP production. They also promote oxidative stress. Hi Tom! What are your thoughts on testing hormones via Salvia through out the day instead of a blood test? I will definitely have my Intergrated doctor test for Prolactin just because I am curious about it however I have been doing very well with my hormone levels for years. At 52 that makes me happy. Hi Bellabeehee, I don’t recommend saliva testing for hormones. I appreciate the information and will be getting the test. My blood levels for estrogen do test low but my DHEA levels are always high and no one ever seems to know why. Do you think there is a connection? Female facial hair or hirsutism is caused by high androgen and prolactin production and oftentimes severe progesterone deficiency. Progesterone, thyroid hormone (T3), Vitamin A, and Calcium all help to lower prolactin and regulate estrogen/progesterone balance. My son is 11 and has Down syndrome. He has early stages of hashimotos. I asked the doctor what we should do, and he said nothing. I am quite frustrated. He is gluten free, eats a healthy diet and I give him supplements. Thoughts on how to control this? thanks!! Hi Anne, I have a client in the same situation but her son is a little bit older. Hypothyroidism, Hashimoto’s, etc. He has had some great results with our Hypothyroidism Revolution Program. I am estrogen dominant, the latest blood test of prolactin was 240. I am taking DHEA+progesterone, NDT + a little Liothyronine , boron, manganese, magnesium and selenium, NAC and artic omega 3. What else can I do, I really need to loose some weight. Hi Lena, that’s the calcium paradox, which is actually caused by calcium deficiency and the secretion of parathyroid hormone to raise blood calcium levels. Increasing calcium intake, getting adequate magnesium, and thyroid hormone (T3) all help to keep calcium out of the cells and prevent this disease process. See the study below as well. Calcium paradox: consequences of calcium deficiency manifested by a wide variety of diseases. So What do you suggest? To take calcium/K2 ? There Are so many different kinds of magnesium, can you suggest any? Can you say anything about loosing weight? If we are already on 400 mg compounded progesterone sublingual for estrogen dominance, should we still test prolactin levels? I was originally on 200 mg progesterone but that was not enough, I still had breast tenderness and emotional/tearful plus weight gain so the does was increased which seems to help. I am 56. I have been hypothyroid for years and had no idea. I had severe anemia and red blood cell for Issues, no hormones, no periods from 27-34 years old, was very thin like a triathlete. I wasn’t sleeping at all and stressed to the gills. I had a wake boarding accident and broke my ankle, foot and leg on a million pieces. After undergoing major surgery and an intense recovery, I gained 20 pounds overnight, couldn’t get out of bed I was so fatigued. I went to the doctor because I knew something was wrong! I had developed hypopituitarism ( no TSH and FT4 and FT3), estrogen dominance, low cortisol and adrenal fatigue. I am going on three years now with a 35 pound weight gain that will NOT budge! I have no cortisol issues or adrenal issues anymore, I have period every 28 days like clockwork, but still think I’m estrogen dominant. T4 only Meds make me fat and puffy and feel awful, but my numbers look perfect on them. I have had very low prolactin this entire time which is opposite of your thoughts on estrogen dominance. I can’t lose this weight, have tried everything and feel like my labs tell a very obvious picture that nobody had figured out. Seems like the mie thyroid hormone intake the fatter I get. Do I even need it anymore or was the stress of being so thin and my accident an acute thyroid disregulation during a time of stress? I’m so frustrated and don’t know what to do now..,T3 only? Would you be willing to work with me? I’ve seen all of the best endocrinologists at UCSF among other Naturopaths and still not optimal. My case is so weird yet has to be obvious as to what my body is doing. I’d love to work with you! Life is short! I’m missing out at this pace! When looking for a Prolactin blood test I noticed that there are a few options for Prolactin tests. One (daytime) sample, 2 samples, 3 samples and 4 samples. For the purposes of testing estrogen dominance, do you think that the One (daytime) test would be sufficient? Thanks for all your helpful information. I have been implementing much of your program and finding it to be very helpful! I have Hashimoto’s thyroiditis and I would like to begin taking a phytoestrogen herb (Pueraria Mirifica). Dr Christiane Northrup (a doctor specializing in women’s health) suggests all women in menopause use it if they have symptoms. When I started going through perimenopause I became fatigued, have brain fog, bad memory, and puffy face. I am now in menopause and taking Synthroid 75 mg but still have these symptoms but not so severe. I’ve always had fatigue and depression towards the end of my periods lasting about 10-14 days. Do you think this herb would be bad for Hashimotos?